Are you trying to, or are you thinking of trying to sell your car? If the answer to that question is yes, then we have just the car window sticker for you! Catch the eye of all the passers by with this fantastically classy and clean car sale sticker! 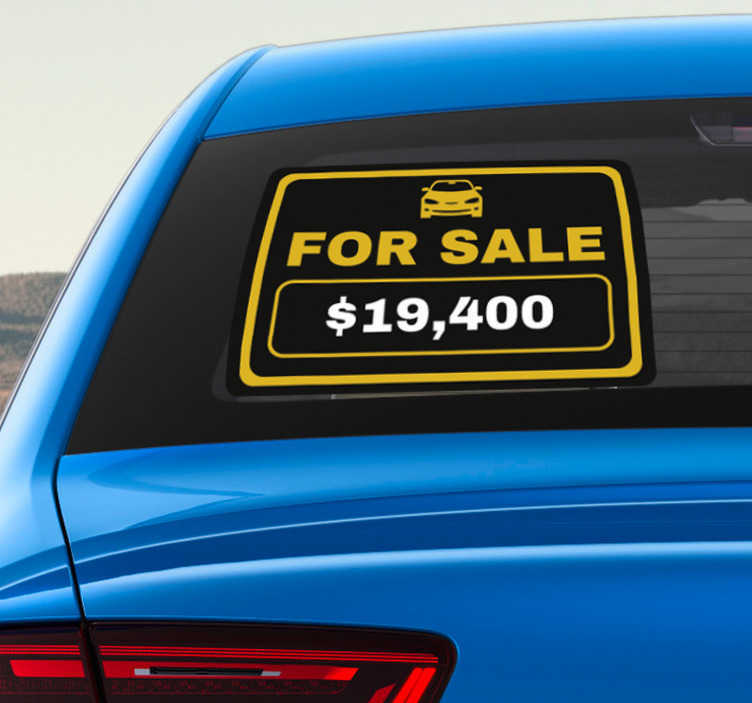 Simply enter your price and, if you wish to include your contact details in the sticker, leave a note when checking out - We will transform your vision into an incredibly useful car window decal!